MADISON, Wis. — The conservative grassroots appeared to get its groove back Tuesday. 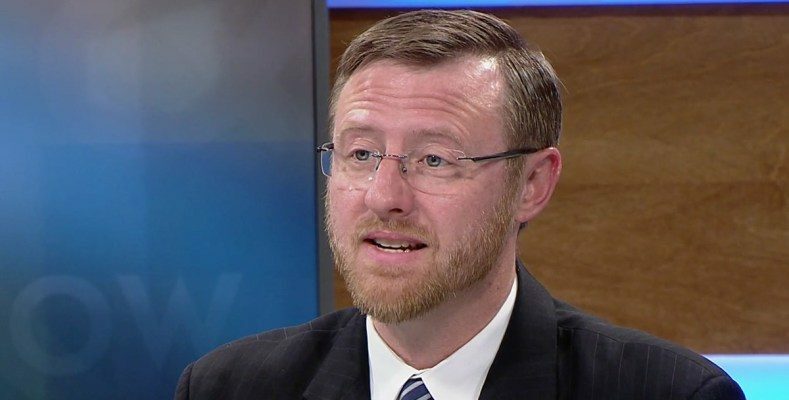 And southeast Wisconsin’s WOW counties wowed again in helping to deliver a narrow victory to conservative state Supreme Court candidate Brian Hagedorn, a victory that could keep the court in conservative hands until at least 2023. Hagedorn’s victory seemed nearly as stunning to conservatives as it did to Neubauer and her liberal allies. Hagedorn’s liberal opponent, fellow state appeals court Judge Lisa Neubauer, had yet to concede Wednesday afternoon, and it looked like her campaign was set to fight on. “This race is too close to call. We are almost assuredly headed to a recount,” said Neubauer campaign manager Tyler Hendricks in a statement. Just 5,962 votes — out of 1.2 million cast — separated the contenders, less than half a percentage point. That’s enough under state law for Neubauer to call for a recount, but her campaign would have to pay for it. What does Hagedorn’s victory mean? It means conservatives will hold a 5-2 majority on the court after long-time liberal Justice Shirley Abrahamson officially retires later this year. Hagedorn and Neubauer were vying for Abrahamson’s seat on the bench. It means that key conservative policy victories won over the past eight years will likely survive further court challenge. The state Supreme Court’s conservative majority has generally upheld laws from the Gov. Scott Walker era — like the public-sector union reforms under Act 10, Wisconsin’s voter ID law, and medical malpractice caps. The majority also declared unconstitutional the state’s abusive John Doe investigation, a politically motivated campaign finance probe into dozens of conservative organizations. Had Neubauer won, liberals could have taken back control of the court for the first time in more than a decade with the defeat of conservative Justice Daniel Kelly in next spring’s election. That would have been a tall order, pundits say, because the next Supreme Court election is also on the same day as the presidential primary. With more than a dozen potential contenders for the Democratic Party nomination, Democrat turnout is expected to be massive. But a lot of pundits got this race wrong. There were lots of pleasantly surprised Republicans who, throughout the race, heard predictions of a looming Neubauer blowout. “I expect her to win and potentially by a large margin,” Barry Burden, a UW-Madison professor of political science and director of the university’s Elections Research Center, told the liberal, Madison-based Isthmus just days before the election. Liberal outside interest groups, including former U.S. Attorney General Eric Holder’s activist organizations, had far outspent Hagedorn and conservative groups up until recently, when the Republican State Leadership Committee’s Judicial Fairness Initiative said it would spend $1 million on the race. Some Republicans walked away from Hagedorn after Neubauer backers attacked Hagedorn for founding a Christian private school that promotes traditional Christian values regarding sexuality and marriage. Hagedorn, who served as former Gov. Scott Walker’s legal counsel before Walker appointed him to the appeals court, was forced to defend himself from an onslaught of criticism — from the left, as well as some Republicans. He countered that his opponent and her allies were making a Supreme Court candidate’s religious and social convictions a kind of test to serve on the bench, a prerequisite strictly prohibited under the constitution. Terry Dittrich, chairman of the Republican Party of Waukesha County, said liberal attacks on Hagedorn, viewed by many traditional conservatives as an attack on the judge’s faith, played a significant role in motivating Republicans to get to the polls. “From our county, we had more Christian groups, school choice groups and churches reaching out to us rather than we having to reach out to them. They were incensed,” he said. “We had more Christian groups, school choice groups and churches reaching out to us rather than we having to reach out to them. They were incensed,” Dittrich said. Waukesha, Ozaukee, and Washington counties, the suburban Milwaukee conservative bastion known as the WOW counties, turned out impressive numbers for Hagedorn. In deep purple Wisconsin, the vote count in these critical regions can mean the difference between victory and defeat for conservative statewide candidates. The conservative judge won 68.5 percent of the vote in Waukesha County to Neubauer’s 31.4 percent. Hagedorn received 63 percent of the vote in Ozaukee County. And in Washington County, Hagedorn received 75 percent of the ballots cast. Vote count and turnout were up in all three counties. In Washington County, turnout was 44 percent, an increase of 9 percentage points from the spring 2018 election in which liberal Supreme Court justice candidate Rebecca Dallet handily defeated conservative Michael Screnock. Turnout in Ozaukee County was 45 percent, up from 42 percent in the April 2018 election. Waukesha County posted nearly 44 percent voter turnout, up 10 percentage points from last year. Here’s the real heartbreak for Lisa Neubauer: Racine County, her home county, rejected her. She lost there by 5,101 votes, according to the unofficial vote count. She lost the election by 5,960 total votes. Eric Bott, state director of Americans for Prosperity-Wisconsin, said the election marked the return of the conservative grassroots movement statewide. AFP spent around a half million dollars on the race and made north of 750,000 voter contacts over the past seven weeks, according to Bott. “We outworked the Neubauer campaign even though they outspent us many times over,” he said. Bott attributes the rise of the conservative grassroots movement to discontent over Gov. Tony Evers’ liberal budget proposal and initiatives, as well as a real-time lesson on what activist liberal judges do. He said some conservatives were fired up after a Dane County judge declared unconstitutional the laws that came out of December’s extraordinary legislative session, a divisive ruling on divisive legislation that is expected to eventually end up in the Wisconsin Supreme Court. “I think it was a lightening rod, a rally cry to conservative activists, and it grabbed the attention of conservative talk radio as something to point to in the final stretch,” Bott said. Dittrich, of the Waukesha County Republicans, said the opening months of the Evers administration and the battle to retain control of the state’s highest court woke up a lot of conservatives. Some, he said, who didn’t show up in November, came back out to the polls with a renewed sense of urgency on Tuesday.